This is a list of compositions by John Cage (1912–1992), arranged in chronological order by year of composition. This section lists works for which the location of manuscript is unknown, or which possibly were not notated. 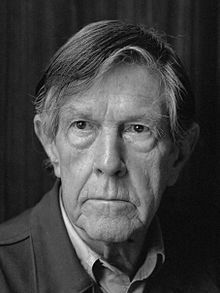 John Cage works catalogue at the John Cage database, contains details on individual pieces, exact dates of composition and first performances, an extensive discography, etc. This page was last edited on 11 April 2019, at 20:22 (UTC).